← Bougainville News coverage : AROB ABG Day celebrates our 13 years as Autonomous Bougainville Government and the question is asked What are Bougainville’s greatest resources? National Government and Bougainville Chief Secretaries, Isaac Lupari and Joseph Nobetau have agree on 39 recommendations to be put to the Prime Minister and President at the next Joint Supervisory Body (JSB) meeting – confirmed for 28 – 29 June in Arawa. 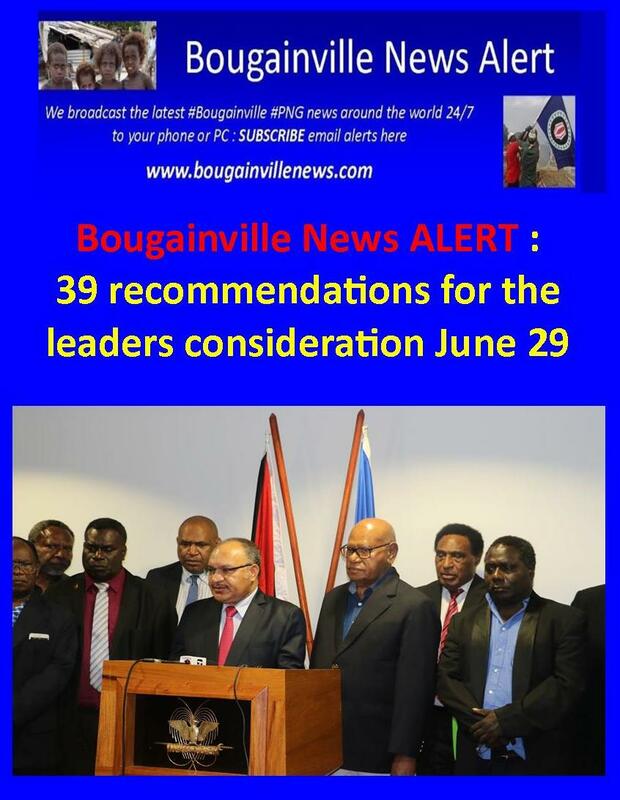 The recommendations cover a wide range of issues under the Bougainville Peace Agreement (BPA) including referendum and post-referendum issues, fisheries, outstanding grants owed to Bougainville, weapons disposal and border control. Chief Secretary to the National Government Isaac Lupari said the meeting of the Joint Technical Team in preparation for the JSB was highly productive, and illustrated the current spirit of partnership, cooperation and preparedness between the two governments. “It is a time for action and we are working hard,” Mr Lupari said. Bougainville Chief Secretary Joseph Nobetau said the two chief secretaries had undertaken multiple discussions since the last JSB to progress resolutions. “There has been good work since the last JSB and I wish to acknowledge these fruitful discussions with the Chief Secretary that pave the way for preparing our leaders and supporting Bougainville implement all three pillars of the Peace Agreement,” Mr Nobetau said. “Bougainvilleans are keen to see leadership resolve issues such as operationalizing the Bougainville Referendum Commission, the referendum question to be put to people and what will happen after the referendum. “We hope that our recommendations will see resolution or progress on all these issues,” Mr Nobetau said.